Always in a hurry? Me too. If your approach to applying makeup is pretty low maintainance, yet you like to deliver a high impact result, I have found the prefect product for you – NARS Velvet Matte Skin Tint. It’s an instant beauty fix for all you Insta Beauty Babes. Insta beauty babes are the kind of girls like me who have 5 minutes each morning to do their makeup. I’m serious. My makeup is always perfect, and no one believes me when I tell them that it takes roughly around ten minutes max to apply. I could probably do my entire face with my eyes closed – Primer – foundation – powder – eyebrows – mascara – lipstick – done! I actually do the rest on the tube. Sorry, I am sometimes that girl, but only a quick lipstick and eyeliner touch up as it saves me a couple of minutes each morning, and I have a super long commute so I have nothing better to do. Foundation is the most important and time consuming part of my routine, and I am obsessed with NARS Sheer Glow, and All Day Luminous Weightless Flawless Foundation. To minimise time, I have even ditched my foundation brush, and now apply it with my fingers. When I heard about the new NARS Vetvet Matte Skin Tint which provides maximum results with minimum effort I was super excited…I can get out of the house even faster! It’s a tinted moisturiser with benefits as it contains an SPF, Vitamins C, E, and also Rose Fruit Extract which minimises the appearance of pores over time. It was also created using an innovative Velvet Illusion Complex technology and Transparent blurring powders to not only soften, but instantly enhance the look of skin, making it look flawless, yet natural. The unique spherical shape of the transparent blurring powders compress like a cushion, delivering a velvety feel that doesn’t look flat, masked or chalky. The liquid itself is quite rich and creamy. It glides onto skin really easily, leaving a velvety, yet soft, and natural finish. It’s amazing. 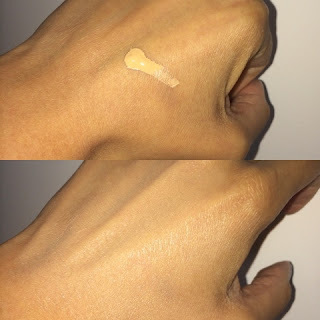 The coverage is medium, and you will notice that even though the makeup lasts all day, you might want to touch it up in the afternoon. It’s actually a small price to pay considering how easy it is to use. All you do is apply it like a moisturiser, and you’re ready. Simple and Perfect. Instant gratifation for the Insta Beauty Babe. 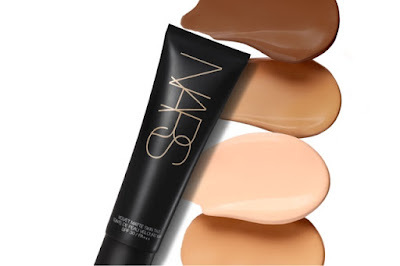 Due to its lack of coverage compared to the NARS foundations, I’m saving my skin tint for the summer where I need less makeup and more help to keep my skin matte. I can’t wait. I’m taking it to the beach too as it contains an SPF.